Ghostwriter is a browser-application that can be used to spam a selection of search engines with fake web searches. The search engines are being monitored by marketing companies that collect data about search trends for commercial exploitation - such as phony websites incorporating popular keywords into their content as a way of hijacking hits. 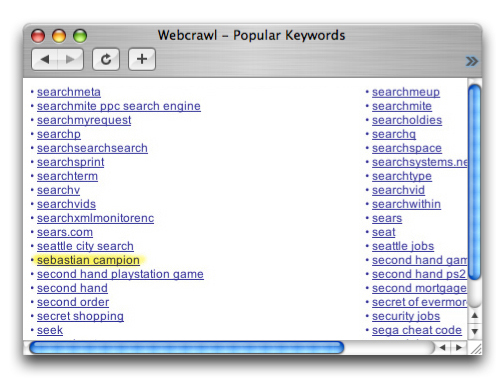 Ghostwriter is a reaction against the misuse and commodification of web searches. It can be used to infiltrate marketing-surveillance data by running repetitive fake web searches that fools the surveillance software into believing that a sudden trend is taken place. Commissoned by Knabstrup Kulturfabrik for the exhibition Changing Territories, 2004. Being short of inspiration, I typed in my own name and ran Ghostwriter for a few hours. 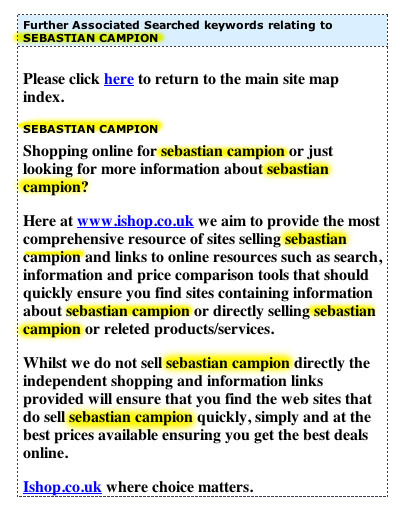 A few weeks later, my name started appearing on strange websites, thereby exposing the spies.